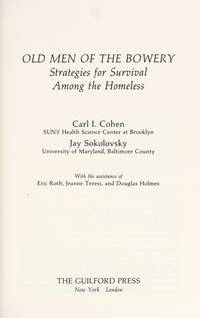 By Sokolovsky, Jay; Cohen, Carl I. New York: The Guilford Press, 1989. 248pp. Inscribed and signed in red ink by Jay Sokolovsky. Former owner's name/info is marked over with a black marker on the front flyleaf. Signed by Author. 1st Edition. Hard Cover. Very Good/No Jacket. 8vo - over 7¾" - 9¾" tall. New York: P.J. Kenedy and Sons, 1920. 362pp. Former owner's name/info is marked over with a black marker on the front and rear flyleafs. Hard Cover. Very Good/No Jacket. 8vo - over 7¾" - 9¾" tall. Chapel Hill: The University Of North Carolina Press, 1964. 480pp. Normal library markings. 1st Edition. Hard Cover. Good/No Jacket. 8vo - over 7¾" - 9¾" tall. Ex-Library. 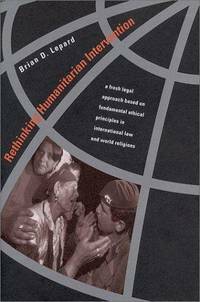 University Park, Pennsylvania, U.S.A.: Pennsylvania State Univ Press, 2002. 496pp. Former owner's name/info is marked over with a black marker on the front flyleaf. 1st Edition. Hard Cover. Very Good/Very Good. 8vo - over 7¾" - 9¾" tall. Pittsburgh, PA: Duquesne University Press, 1965. 263pp. Former owner's name/info is marked over with a black marker on the front flyleaf. The dust jacket has edge tears. There is an old price sticker at the top right corner of the front panel of the dust jacket. 1st Edition. Hard Cover. Very Good/Good. 8vo - over 7¾" - 9¾" tall. Lincoln: University Of Nebraska Press, 1975. 63pp. Normal library markings. 1st Edition. Hard Cover. Good/No Jacket. 8vo - over 7¾" - 9¾" tall. Chicago: The University Of Chicago Press, 1931. 230pp. Former owner's name/info is marked over with a black marker on the front flyleaf. 1st Edition. Hard Cover. Very Good/No Jacket. 8vo - over 7¾" - 9¾" tall. Emmitsburg, MD: Mount Saint Mary's College, 1982. 193pp. Former owner's name/info is marked over with a black marker on the front (title) page. 1st Edition. Soft Cover. Very Good/No Jacket. 8vo - over 7¾" - 9¾" tall.